During the first year of its history Heron Lake had only a private school. On December 17, 1872, a meeting of citizens was held at John Weir’s store to take steps toward the organization of a district and the building of a public school house. Rev. John Benson was chairman of the meeting and John Dalziel was secretary. As a result of this meeting the next session of the legislature passed a bill authorizing the organization of an independent district at Heron Lake – the first independent district in Jackson County. The organization of the district was perfected in March, 1873, when the following named gentlemen were elected as the first board of education: E.C. Sanders, George Hubbs, A. McSchooler, Ralph Town, John Weir, and Zebulon Judd. A school election was held at Jones’ hotel April 12, 1873, at which time a majority of the voters declared in favor of bonding the district in the sum of $2,000 to raise funds for the immediate construction of a school house. The bonds were issued and a building erected. In the spring of 1886 the district decided to sell the old school house to the village and issue bonds to the amount of $3,000 for the purpose of erecting a suitable building on the lots donated by E.F. Drake. At an election in June the bonds were voted 67 to 52. 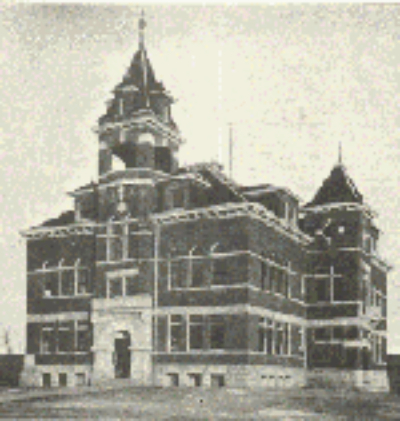 A school building coasting about $5,000 was put up during the summer of 1887. It was used as a public school house until 1896, when it was sold to the Catholic Church society. By a vote of 258 to 59, at a special election April 1, 1896, bonds to the amount of $20,000 were voted for a new schoolhouse. The contract for the erection of the building was let May 19, 1896, to J.D. Carroll on a bid of $18,447, the corner stone was laid with ceremonies July 18, and it was dedicated in November. 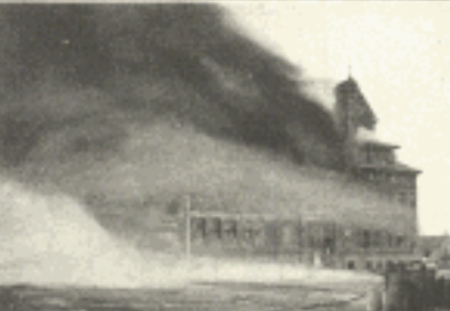 This handsome brick structure, one of the finest public school buildings in southwestern Minnesota, was totally destroyed by fire December 31, 1901, together with about $5,000 worth of equipment. It was insured for $18,300. Thereafter for several months school was conducted in the various churches, halls and store buildings. The schoolhouse was rebuilt during the summer of 1902 and was occupied for the first time late that year. Click this link for current school information Heron Lake-Okabena Schools.